You can taste over 50 kinds of Kimitsu Jizake. Kimitsu has the most number of sake breweries in Chiba. In this event, gathered 6 Kimitsu sake breweries and 2 more breweries from next city, Futtsu. Kimitsu city is located along the western coast of the Boso Peninsula in Chiba. The Kameiwa cave is in Kimitsu. It became suddenly popular spot by Instagram. The beauty of the waterfall looks like a fairy tale. If you have a time, stay overnight and try to go there to shoot photogenic moment in early morning. The morning light reflecting off the water is a great photo opportunity and memory. It is the best sake tasting party for sake lover at the Yuito on 20 October 2018. 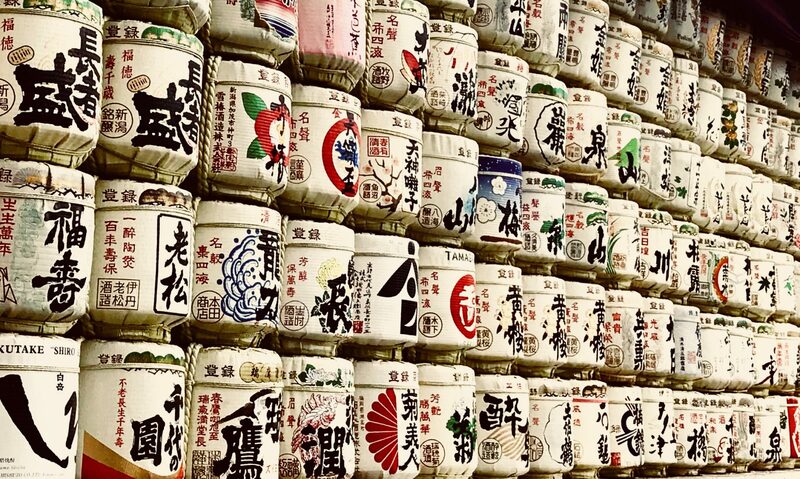 You can taste the finalists of the International Wine Challenge (IWC) 2018 sake competition. You will have the chance to meet 19 sake breweries. This year, IWC sake judging was hosted in Yamagata in Japan, and featured 1,639 sake entries, the highest ever recorded at the IWC since it started in 2007. There are 9 categories in Sake section, Junmai, Junmai Ginjo, Junmai Daiginjo, Honzojo, Ginjo, Daiginjo, Koshu(Aged Sake), Sparkling Sake and Futsu-shu, and awards include medals (Gold, Silver, Bronze) and Commented from each section. And then the highest prize (Trophy) is awarded to one of the best Gold medals from each section. Champion Sake is the year’s best Sake of all chosen from all Trophy. Meishu center sake shop Hamamatsucho will renewal open. Bring your own snack. 1 hour All you can drink. You can drink about 100 kinds of sake, including Daiginjo. Contact to sakata@nihonshu.com, application deadline is 31st of October.